PCOC Members, Lead Safe Certified, National Pest Management Association, Branch 2 & 3 State of California Licenses for Pest Control & Termites, Family Owned Pest Control Members. Quality Pro Certified. Pest Solutions has been providing pest control and termite control services for over 20 years. 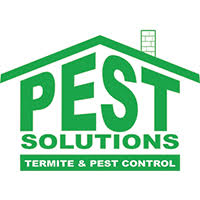 At Pest Solutions, we take pride in our business and ensure that all customers are 100% satisfied with our services. Our exterminators specialize in serving both residential and commercial locations. Our professional exterminators can treat your home, condo or apartment. Very Happy with Pest Solutions Services, Professional,allways on time for scheduled services,courteous, knowleadgeable. Great Customer service and fast response. Angel (Tech) is awesome and very knowledgeable. Would highly recommend their service. Richard was very informative and professional. Answered all my questions and put me at ease. Great results. Pest Solutions have serviced our home and duplexes for maybe 20 years already. PS provide us with a monthly service plus termite treatments, removal of spiders, wasps and their nests and webs, etc. They respond promptly and in a very friendly and knowledgeable manner to all our needs. I highly recommended them to all property and home owners. Was very pleased with the ease of scheduling termite control and the obvious competency of personnel, especially the office staff. Met our scheduling needs due to repairs that had to be made prior to termiting. Office staff and termiting personnel was great. This was a condo that my wife is renting so we are not at the place of termiting until after the fact. Again, great service and great staff!!! We have been customers of Pest Solutions for years. They have solved a variety of problems from rodents to wasp nests to weatherproofing. Susan Marquez and her team offer speedy and very personal service. Thanks to Pest Solutions, I can proudly say my units are pest free. On the ocassion that I get any type of pests, Susan and her team are readily available to assist me. I have used this company for the last 15 years & their service has always been excellent & prompt. Mike & Susan are wonderful to work with & I highly recommend using them. We have been a Pest Solutions customer for 20 years. They have always been professional, friendly and done a great job for us. We have recommended them in the past, and will continue to do so. We have absolute confidence in their ability to solve any pest issues we have!